Gently removes rough or callused skin from hands and feet. Works quickly, easily and safely to help restore skin's natural softness. 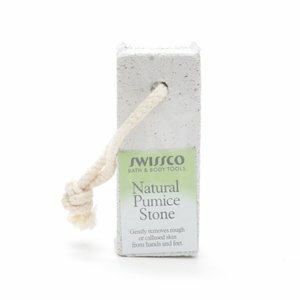 Use in bath or shower with warm water and your favorite shower gel.Gently rub pumice stone over rough areas. After use, rinse and let dry. ***Do not use if you are diabetic or if there is any inflammation in the affected area.